Could Your Home Be at Risk from Fleas this Autumn? Could your home be at risk from fleas this autumn as the weather cools outside and we automatically turn the dial on the central heating up? That's what pet experts are asking you to consider as new research released today by the 'Home Invaders' campaign on behalf of animal health firm Bayer Animal Health has shown that a third of pet owners are unaware that switching on the heating in the autumn and winter months can present an ideal breeding ground for fleas and where a flea infestation occurs, warm conditions can lead to flea pupae hatching in the home. According to the research, more than a third of pet owners turn up their heating in the autumn and winter months to between 21°C and 25°C, providing an optimum temperature for fleas to breed in. The study also revealed that one in 10 pet owners have noticed fleas on their pet and in the house during autumn and winter months, indicating they are not seeking preventative treatment at this key time of year. It is estimated that 95 per cent of the flea population in a home can be found within carpets and soft furnishings, which is perhaps no surprise when almost half of owners admit sharing a bed with their pet and three quarters allow their cats to sleep on their sofa. 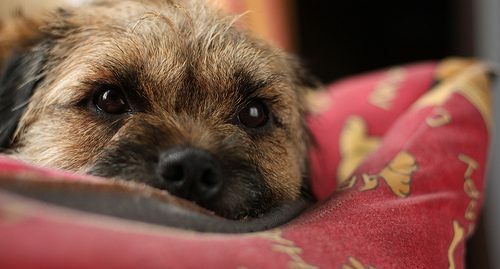 Furthermore, 27 per cent of pet owners seek parasite treatment advice online before going to their vet and 10 per cent only ever treat their pets when they see fleas. Worryingly, half of pet owners were completely unaware their pet had fleas until they were shown by a vet. Pet owners are reminded that while the web is a useful resource for gaining background information discussing an effective parasite protection plan with your local vet, will allow you to tailor the requirements for you and your pet . This article was sponsored by Bayer Animal Health. You can help spread the word and find out if your pet and family could be at risk, by following the conversation at www.facebook.com/jungleforpets or by following ‘ JungleForPets’ on Twitter. You can also watch the Home Invaders documentary at www.itsajungle.co.uk.